A very urban handmade piece, this thick leather bracelet creates a hip and casual look for a night out or everyday wear. A wide band is decorated by another narrower band with a nickel plated square in the center, producing a belt-like design. 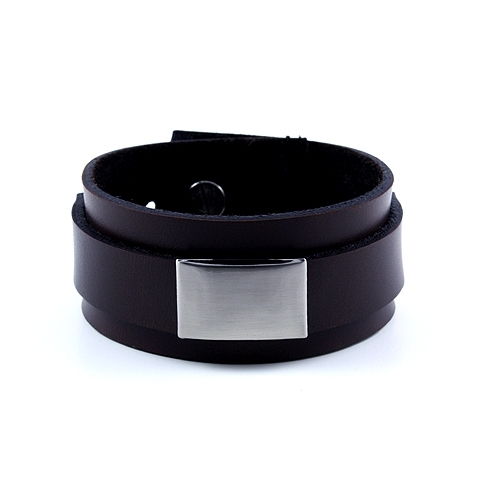 The brown leather compliments all men's skin tones and the bracelet's length is adjustable.